Alana, one of our wonderful sewing students here at Rosewood Cottage, recently made this gorgeous leotard for her daughter Sunny from Kwik Sew Pattern 3887. 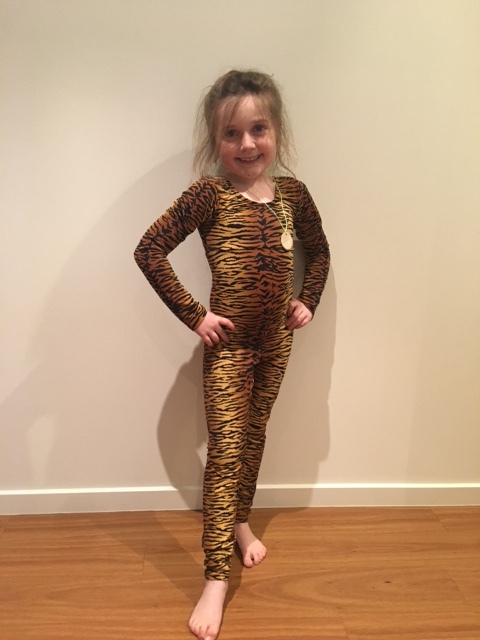 Alana made this leotard for Sunny to wear to her gymnastic classes. She used a two-way stretch Lycra and non-roll elastic 1cm wide in the neckline and twin stitched the hemlines. 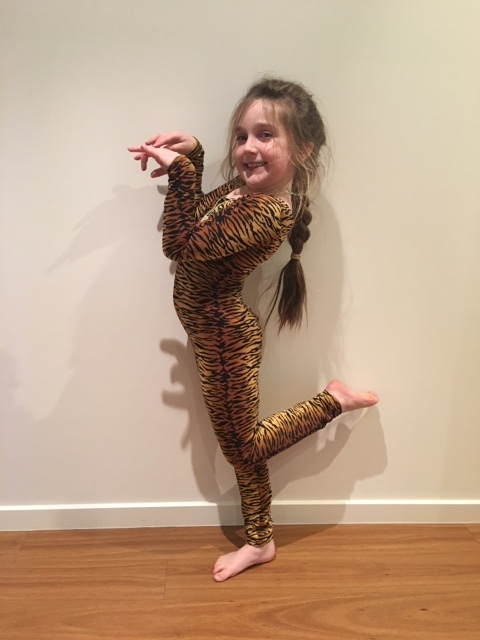 Alana fitted the body length and added extra fabric to the sleeve and leg length to allow for future growth. The biggest feature on this leotard is the pattern matching! We carefully positioned and cut the fabric to pattern match all the seams, which is no small feat! As you can see above Sunny looks like a real little tiger with markings in all the right places! Terrific result – Well done Alana! 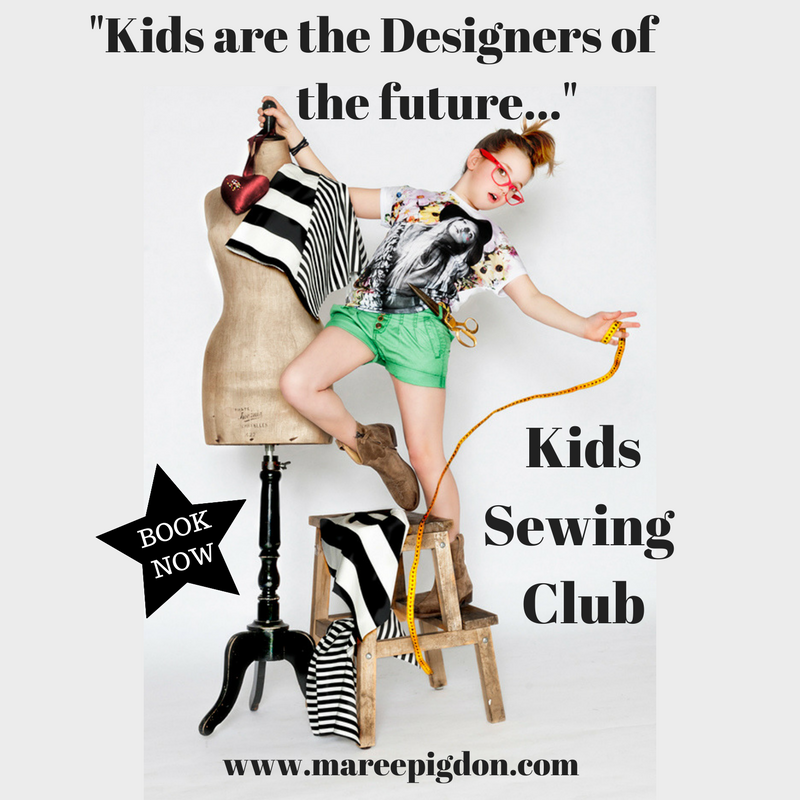 We’re taking bookings now for our kids sewing classes commencing from 6th February 2017, if you would like to enroll your child, click on the link below so you don’t miss out – positions fill fast!